Aspen shade structure model influenced by high elevation ski lodges. The Aspen shade structure model design was influenced by high elevation ski lodges. 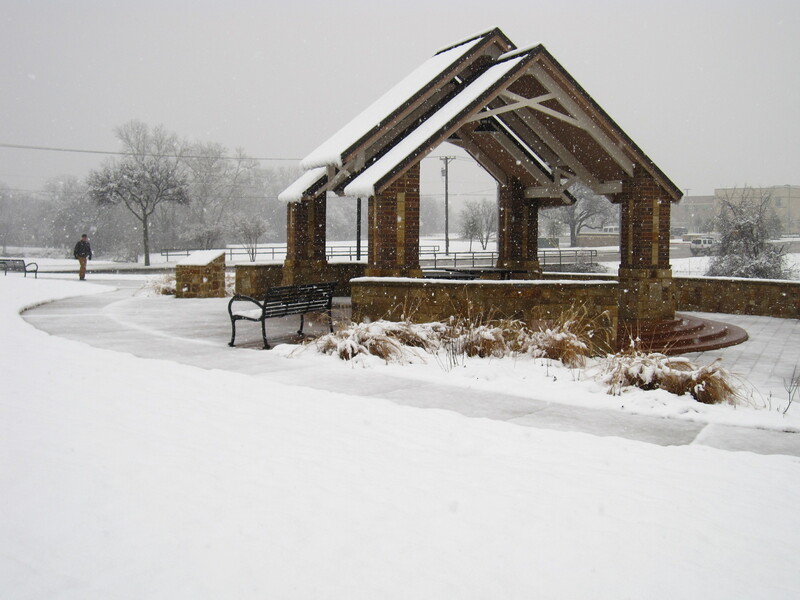 The steep roof pitches with cross buck support beams also play off the early 1900 railroad bridges and lend a sturdy structural element for those heavy snow loads. • Nearly any size is available both standard and custom. 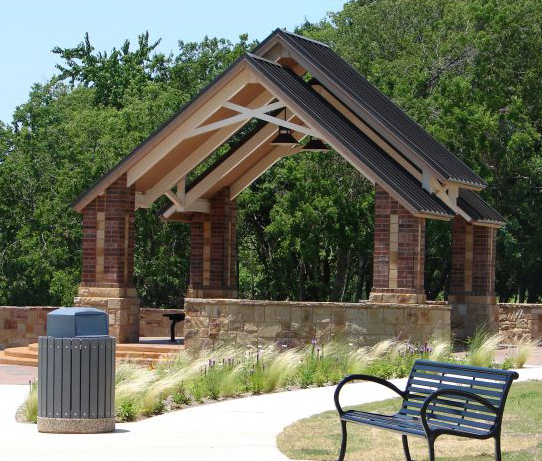 The first photo is a 20′ x 20′ Aspen shade shelter model in Markwood Park, Irving, TX. It has a 12″ o.c. 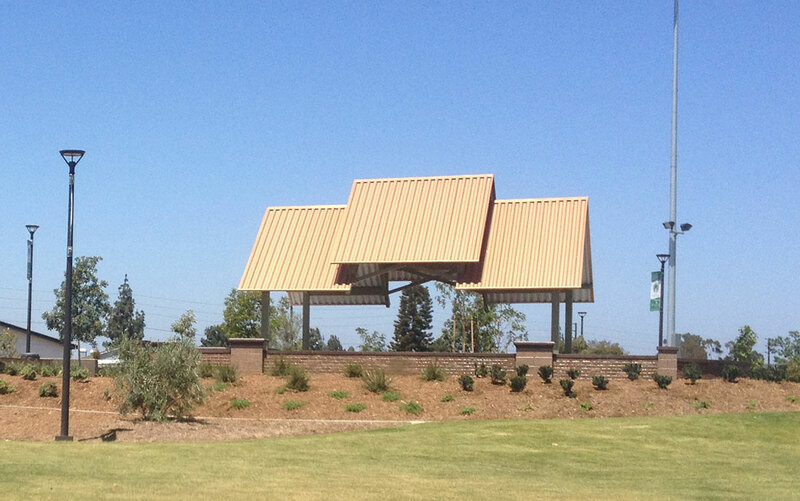 standing seam steel roof with a 2″ x 6″ T & G sub-roof. Roof color is Weathered Copper and stone / brick is by others. Aspen 20’ x 30’ with 4 columns and R-panel roof.